I’m in a great mood this week (no rain for a few days), that I am ending the month in all sorts of new ways. First, this is a fantastic time to pick up the Herbalpedia for your library. Through August 6 I’m offering them at $50 ($30 off the list price). Over 2700 herbs and everything about them: medicinal uses, culinary uses, aromatherapy, cultivation, history, ritual and tons of recipes (culinary AND medicinal). If you printed it off, there’s more than 6500 pages. Go to https://www.herbnet.com/category/HERBALPEDIA-4 and get yours now. Use the promo code HerbalpediaSummer when you order. Not sure? 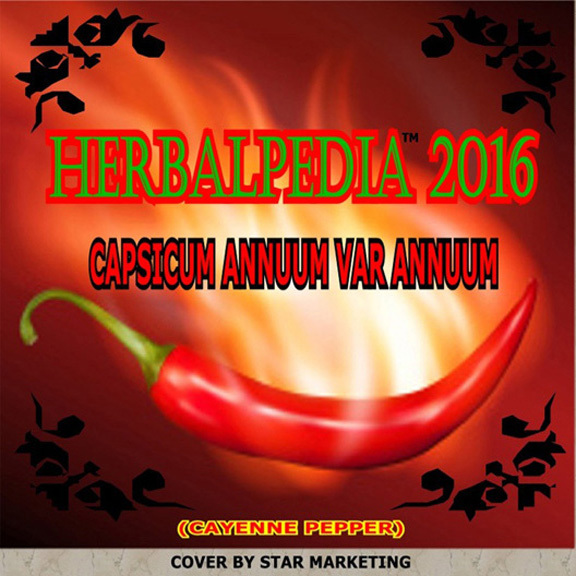 Check out our FREE sampler of Herbs of the Year (including 2016's Capsicum family). All the smaller Herbalpedias are included in the big Herbalpedia, but some want of you wanted just the specific herbs in the small editions and we wanted to oblige. and get a lot more!! We're still growing. And I've got a lot to add so there's several years left. and at how we can use them for food and medicine. Like to see some samples? One of the questions we're often asked is where particular plants or tinctures can be purchased. We've listed more sources this year. And if you grow, manufacture and/or mail order, this may benefit you. If you want to be listed in our source list there is no charge for 2017's edition (this will probably change in the future). You MUST be a member of The Herb Growing & Marketing Network to take advantage of this and you only have to sign up through our site at www.herbworld.com and send me the list of your plants, seeds, tinctures or essential oils. We're only taking those categories this year but will probably expand in the future. And to benefit our members even more, you'll be added to our Source section on www.herbnet.com The only other requirement for submission is that you submit your list in alphabetical format by Latin name with the English equivalent next to it. I will NOT accept any other format. Don't care if it's a word document or excel but it HAS to be by Latin name. To be in the 2017 edition, I must have the submission no later than August 1, 2016. Write me for a full list of the 2017 index AFTER 8/1/16.